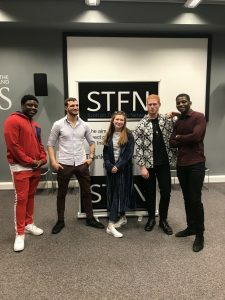 The #STFN was set up by GBM Casting working alongside #STFN Ambassadors: Kevin, Luke, Georgia, Lewis and Ayanda (from left to right) to bring like minded creative people together. After listening to the feedback from the Glasgow meeting the plan is to have an Edinburgh meeting by the end of May. So, watch our social media channels for details. 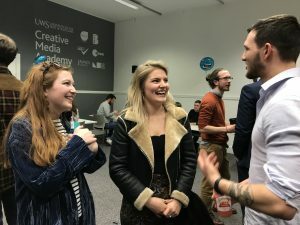 To connect young people to the TV and Film industry in Scotland . Showcase young peoples creativity, skills and talent. Till we get the #STFN channels up – please watch our social media channels for updates. 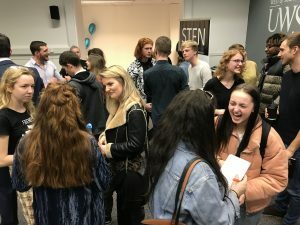 It was great to meet everyone who came to the first #STFN meeting.